Instamojis are another example of how InstaReM connects with customers on a different level compared to other big financial providers. 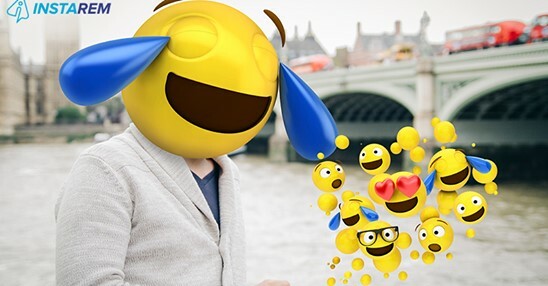 London 17th July 2018: InstaReM one of Southeast Asia’s fastest-growing fintech companies and the leading digital cross-border money transfer service provider in that market is launching the Money Transfer InstaMojis in celebration of the World Emoji Day. The emojis of money transfer would enable InstaReM customers to share their feedback on their transfers with the company’s services team. InstaReM will soonbelaunchingakeyboard which will be available for download to InstaReM App users on iOS and Android. Switching to this keyboard, InstaReM users will be able to use InstaMojis for expressing themselvesemojically on feedbacks on their transfers, and conversations with the InstaReM service team. They’ll be able to use theinstamojison external apps as well whenever they switch to theInstaReMkeyboard. This move by InstaReM is another sign of the company strengthening customer relations. InstaReM recently launched in Europe and its spectacular growth and global reach has been achieved in just over three years, on less than $20 million in capital. InstaReM’s competitive advantage is driven by the fact the company charges an average transaction fee of less than 1 percent, instead of the usual fee plus marginal FX spread that its competitors charge. InstaReM is a Singapore-headquartered cross-border payments company, it’s European headquarters is located in London.